Industry projections, also known as forecasts, provide detailed information on the estimated activity for each industry in terms of employment and growth. 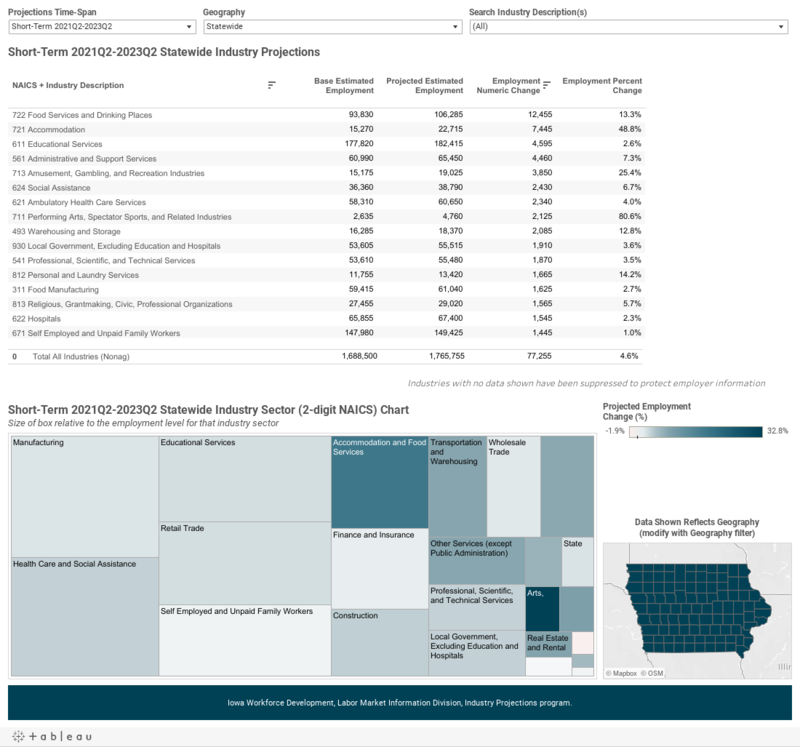 Data is available for the State of Iowa and by Iowa Workforce Development (IWD) region. Data can be viewed and explored in the Tableau visualization below. Begin by selecting a time-span for the forecast data, followed by a geography and industry. As selections are made the table and chart will update accordingly. The tables can be sorted by hovering over the column headings and clicking the icon that appears. The data is also available in a CSV file and in a series of Excel files. Click the buttons below to download the files.